Parliament this week was still reeling from the Autumn Statement made by the Chancellor, George Osborne on Tuesday 28 November. My colleagues from the North East and I have been doing a lot of work to highlight the potentially disastrous impact of continued austerity for the region. Over the coming weeks I will continue to push the government to invest in the North East and create the jobs we need to help the economy recover. These efforts will need to be redoubled after the announcement this week by the Department for Communities and Local Government stating that Local Authorities are to have their budgets cut yet again. This looks set to have serious implications for the North East. Local Authorities are one of UK’s largest employers, employing 22,000 people in Durham alone. Continued cut backs to already seriously reduced Local Authority budgets mean that even more jobs may have to be cut on top of the 145,000 redundancies made by England’s 353 councils already this year. The Government must help create jobs not destroy them. 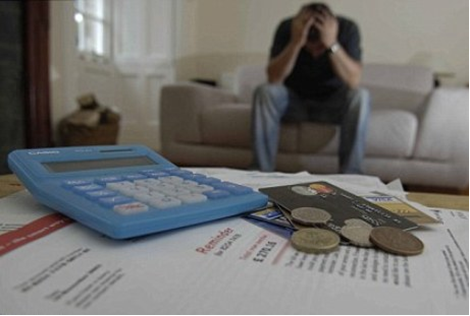 The number of people in County Durham coming off benefits into work has fallen by 6.1 per cent since last year. The more people that are out of work the more we will have to pay in benefits making us less able to pay off the deficit. This is why my Labour colleagues and I want to see the Government give tax breaks to every small firm which takes on extra workers rather than bureaucratic subsidies. We will also be pushing for a tax on Bankers’ Bonuses which would generate £2 billion which we would use to create 100,000 jobs for young people. Further cutbacks will also have a noticeable impact on communities in the North East as councils will only be able to provide the bare minimum of services at a time when people, especially families need these services most. This year the Government has taken £1.3 billion from families through freezing working tax credits hugely reducing the income of many families. These cuts come shortly after the Secretary of State for Communities and Local Government, Eric Pickles, announced that he has ‘found’ £250 million of taxpayers’ money to pay for weekly bin collections. The Coalition has clearly got its priorities wrong and once again the Coalition’s economic policies are hurting but not working. This week brought to light startling figures which reveal the enormous number of students in the North East being deterred from applying to university. It has been a year since the Lib-Dem Tory coalition decided to treble university tuition fees. The impact of this rise has been staggering with a national fall in university applications of 15.1 per cent. However, even more shocking were the figures for the North East which show a 21.4 per cent in the number of applications from young people in the region. This is the greatest fall in the UK and proves that the Coalition’s policies are having a disproportionate and unfair impact on students from some areas more than others. My Labour colleagues and I will be pushing for the Government to reduce tuition fees and pay for higher education through scrapping the Corporation Tax cut on banks and asking the highest earning 10 per cent of graduates to contribute more through a graduate tax system. This is much fairer and would allow students from poorer backgrounds to attend university without the fear of major debt. On Wednesday I attended a reception being held by the National Union of Students. At the event I gave out awards for several Students Unions to recognise the work that they have been doing to ensure that they deliver the best possible learning environment for their members. As you would expect there was a lot of discussion at the event about the disastrous impact of the hike in tuition fees. The NUS has done a lot of good research into the likely impacts of the changes for higher education in the country. 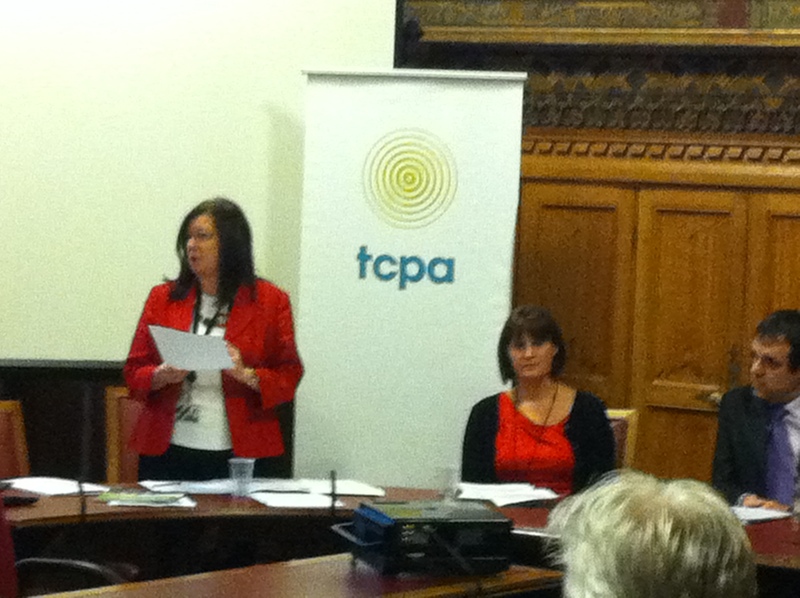 On Wednesday I was delighted to speak at the Parliamentary launch of the Town and Country Planning Association (TCPA)’s New Market Towns initiative in my role as Shadow Planning Minister. The launch was attended by a large audience and I was joined on the panel of speakers by Clive Rand of Barton Willmore and Kate Henderson, Chief Executive of the TCPA. Planning and new planning concepts are increasingly in the spotlight as we attempt to respond to the challenges of the UK’s worsening housing crisis. At a time when it has never been more important, the planning system is in chaos as a result of the Government’s rushed and ill-thought through proposals. This crisis has been made even worse by the Lib Dem-Tory Government’s mishandling of the economy its devastating impact on house building. Just 22 affordable houses were built in the North East last year. This is an appalling figure and shows that the Lib Dem-Tory coalition are failing to help the thousands of families struggling to get a home. This is an issue which looks set to get worse; the Barker Review of Housing Supply predicted that there will be 209,000 new households created every year until 2026. In order to deal with this it is vital that alternative and longer-term planning proposals are considered alongside the need to safeguard the environment for future generations. I believe that Garden Cities and New Market Towns should be an important part of any future plans. It’s been another hectic week here at Parliament. On Tuesday Chancellor George Osborne delivered his Autumn Statement in which there was a distinct lack of measures to stimulate much-needed growth in areas with high youth unemployment such as the North East. The Chancellor’s Statement contained little for Durham in terms of infrastructure projects that would stimulate the economy and create vital jobs and apprenticeship opportunities. It came just a few days after new House of Commons Library research showed a sharp decline in the number of people leaving welfare and going into work. Unemployment is reaching crisis levels and the Lib Dem-Tory Government’s half measures are just not doing the job. In the last year the number of people coming off benefits and into work in County Durham has fallen by 6.1 per cent and that’s just not good enough. There are now fewer people moving from benefits into work than at any time since 1998 and the Chancellor’s Statement fails to address this issue at all. The Statement offered little to stimulate growth and create employment opportunities for areas of high youth unemployment such as the North East. The Government scrapped Labour’s Future Jobs Fund which created over 100,000 jobs for young people, and now youth unemployment has shot up by 77 per cent this year alone. Under Labour, projects like building social housing and Building Schools for the Future created jobs in Durham and provided opportunities for apprentices, unlike the proposals announced today. What we need is for the Lib Dem/Tory Government to change course fast. Labour’s five point plan for jobs would get 5,500 young people back into work here in the North East – paid for with a sensible and fair tax on bankers’ bonuses. We need to get people back to work and off benefits now, or the scar of unemployment will do long term damage to our region. In my capacity as Shadow Planning Minister it is also vital that the planning system allows growth. However by reducing time limits for planning applications, the Government is putting at risk the opportunity for local communities to have their say. George Osborne really must do more than simply assert that the planning system is holding up economic growth. I wrote to him last week to ask for evidence to back up the claims that businesses are being prevented from locating or expanding in Britain because of the planning system. What we do know is that the Government’s own figures show that last year two-thirds (66 per cent) of major planning applications were processed within 13 weeks and 86 per cent of all other planning applications were processed within 8 weeks. Rather than removing essential safeguards in the planning system, the Government should encourage economic growth by investing in a large-scale affordable house-building programme and support developers by introducing a 5 per cent cut in VAT on home improvements, repairs and maintenance to help homeowners and small businesses. This week saw the strikes in this country since 1926, over two million public sector workers ranging from nurses and teachers to local government staff and refuse collectors staged a 24-hour strike in response to the Government’s unfair treatment. Many unions which had never been on strike before were faced with no other option given the Lib Dem-Tory Government’s unfair and unworkable pension reforms. I was proud to join public sector workers on the picket line and met with others at th e rally in London. The strike was the result of a complete failure by the Lib Dem-Tory Government to work with the public sector and draw up a fair and workable pensions deal. The Lib Dem-Tory Government has approached negotiations in a confrontational manner; Ministers have said their last ‘offer’ is the final offer effectively cutting off any chance of negotiations long before today’s industrial action. This Government is unfairly targeting public sector workers at a time when they are already facing a pay freeze, not to mention the biggest squeeze in living standards in a generation as a result of the Government’s mishandling of the UK economy. Under the Lib Dem-Tory proposals, millions of hard working public sector workers will see their pensions decrease in value while being expected to pay more and work longer. The proposals are particularly unfair to women who as well as facing a dramatic rise in their retirement age, make up over ninety per cent of part-time workers who will have to pay the equivalent of full-time pensions contributions; yet another example of the Government’s inequality agenda. Finally this week we learnt the extent of the local funding loss in figures prepared for John Healey MP by the House of Commons Library. The Government recently set out plans to distribute £500 million via local enterprise partnerships (LEPs) for infrastructure spending to generate jobs and growth. However instead of dividing up the money by using a well established economic measure like employment, Ministers have invented a measure which has never been used before called ‘employed earnings’ based on average wages. The “funding fix” which benefits areas with higher wages and means the North Eastern LEP will lose out on £6,181,486 to boost the local economy. Meanwhile more money is being given to more affluent areas. Our area is being cheated of funding for new jobs while the big winners will be the Tory Home Counties like Berkshire, Hertfordshire and Buckinghamshire. This Lib Dem-Tory Government says ‘we’re all in it together’ and claims to be concerned about the whole country but this funding fiddle is skewing grants to the wealthiest areas. It will reinforce rather than reduce existing economic gaps in Britain. I and my Labour colleagues have called upon Communities Secretary Eric Pickles to rethink the way he plans to distribute the funding and explain to Parliament why he wants to use this specially-invented formula.